In order to troubleshoot message issues, it is often very helpful to provide Cordial support with the original or raw message HTML that was sent to the contact. 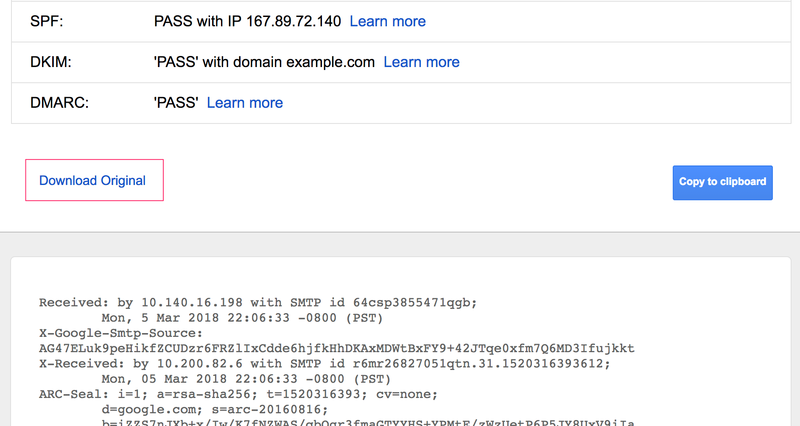 Below are a list of common email inbox providers with instructions on how to view the raw HTML and forward it to Cordial support. Open the message, click the arrow in the top right of the message window and choose Show Original. Once you have the original message displayed, click the download link to download the file as a .txt document and forward that document as an attachment to the support team. Open the message, click the More menu (represented by 3 dots) in the top right of the message window and choose View Raw Message. Once you have the original message displayed, use the file menu to Save As a .txt or .html document and forward that document as an attachment to the support team. Open the message, click the Actions menu, then Other Actions and then View Source. Once you have the original message displayed, use the file menu to Save As a .txt document and forward that document as an attachment to the support team. 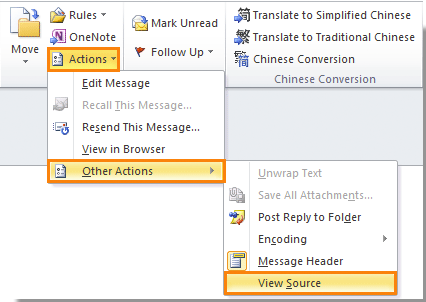 Depending on your version of Outlook, you may have the Forward as Attachment option under either the Actions menu, the Other Actions menu, or by right clicking on the message and choosing More Actions. 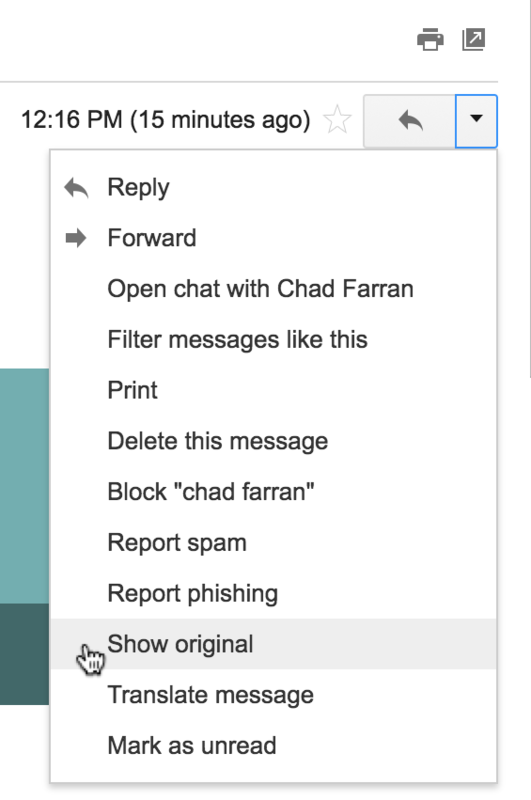 Open the message, click the Actions menu under the arrow on the top right, then View Message Source. Outlook does not allow copying the message code from the View Message Source window. 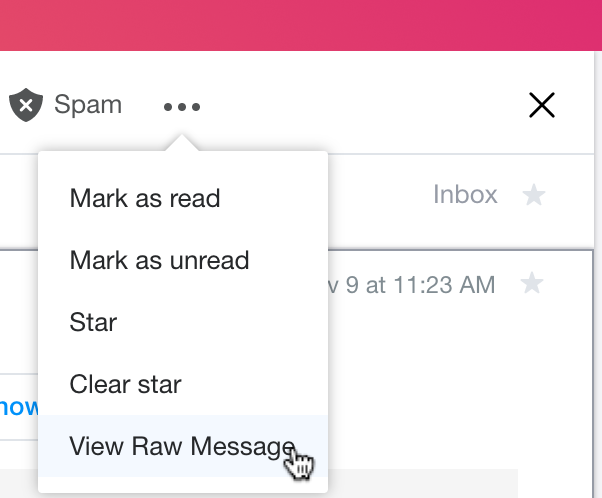 Select the message and under the View menu, choose Message, then Raw Source. 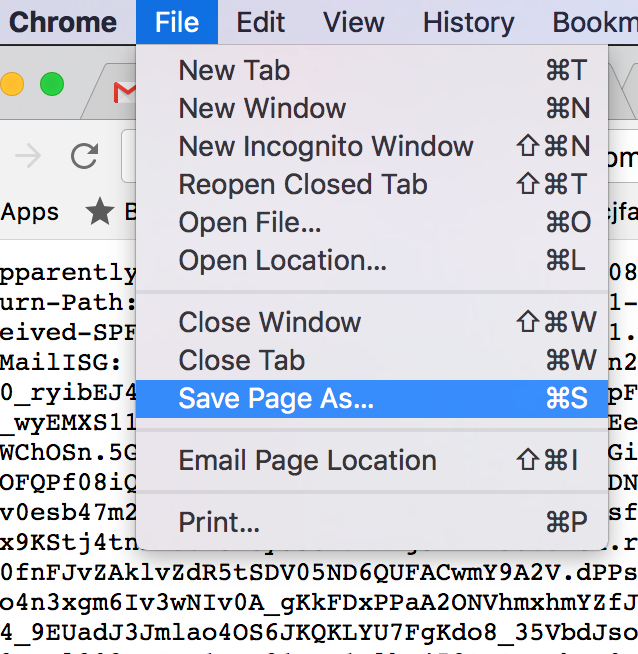 Once you have the original message displayed, use the file menu to Save As a plain text document and forward that document as an attachment to the support team.